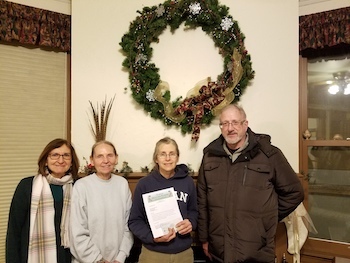 L to R: Pam Uhrig and Debbie Wilhelm, members of the Garlic Mustard Pickers; Jody Johnson; and Jerry Connor, treasurer of the GMP. Three of the Garlic Mustard Pickers’ members met in 2003 while picking garlic mustard during WeedOut in Grant Park, and decided to get together to play music. 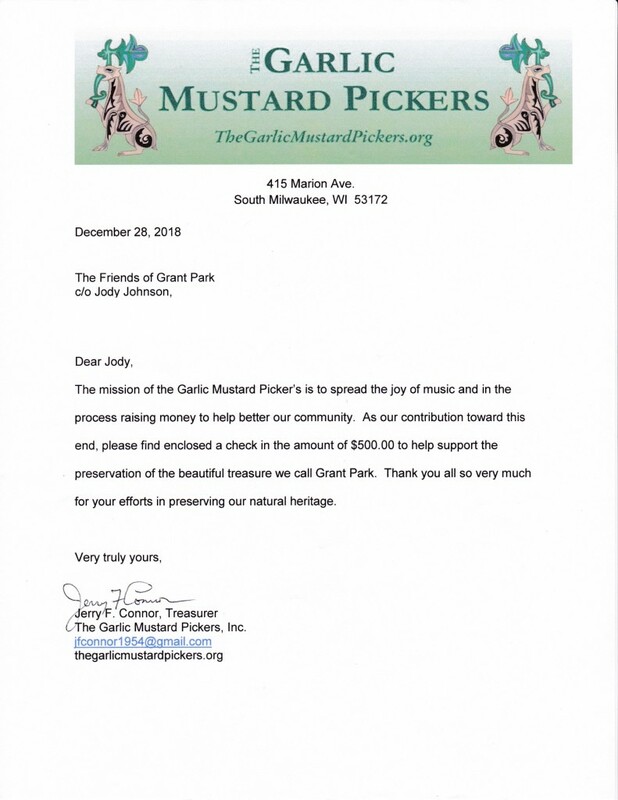 A few more players were added and they have played numerous times at fundraising events sponsored by the Friends of Grant Park, and many other events in the Milwaukee area featuring traditional acoustic music from the Gaelic-Irish countries. After meeting their expenses, they donate most of their earnings to local non-profit and community groups. The Friends of Grant Park cannot stop singing their praises!